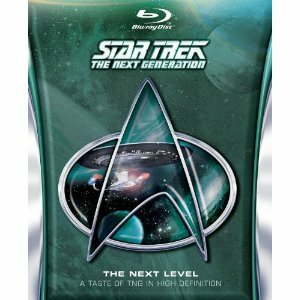 WorldMovieStore - Star Trek The Next Generation Next Level Sinopsis. Welcome to the next generation of Star Trek: The Next Generation, like you’ve never seen or heard it before! For the first time ever, you can experience some of the show’s most important and beloved episodes in glorious 1080p high definition, with true high definition visual effects and digitally remastered 7.1 sound – or with the original audio. Read More Sinopsis. 0 Response to "Blu-ray Release Star Trek The Next Generation Next Level"